National Poetry Month is Coming! In honor of Poetry Month this year, Ink Smith Publishing will be accepting poetry submissions to feature on our blog! All genres are being accepted, no restrictions on length, and there is no need to be a previously published author. If you would like to participate in our takeover please follow the guidelines below. Poems should be formatted in .doc, .rxt, or .pdf format. Submissions should be emailed to: editorinksmithpublishing@gmail.com. APRIL POETRY SUBMISSION should be utilized in the subject line of the email. Please include a short bio (no more than 200 words) about yourself and where to find your poetry. You may include social media handles as well, we’d love to be able to link to you when we post! You may also include a head shot, but it is not required. Please make sure if you do include a head shot it is in .jpeg or .png format, and is a business professional photo. While there are no restrictions on length, topic, or content, we do ask that the poetry be tasteful and tactful. 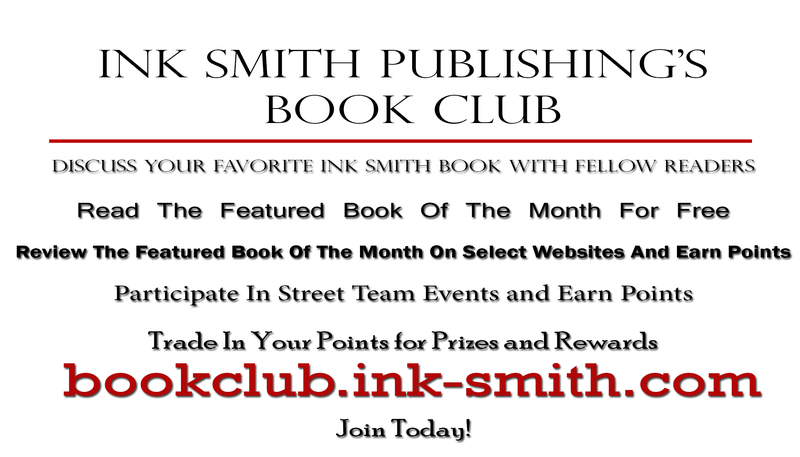 Ink Smith plans to post as many poems as possible, but do not promise that your submission will be posted on the site. There is no fee associated with this takeover and poets are encouraged to submit multiple works. Deadline to submit poetry is March 15th. Walker Stalker Con/Heroes & Villains FanFest Giveaway! Are you in the Chicago, Illinois area? Or have you ever wanted to attend a Walker Stalker Con in a big city? Well, here is your chance to get free tickets and a signed copy of Tim’s novel This Land of Monsters! Our author, Tim Gabrielle, is giving away two general admissions tickets for Saturday, April 20th! These tickets are for the Walker Stalker Con / Heroes & Villains FanFest in Chicago, Illinois. This is a joint show, meaning that you’ll not only get to see fan favorites from The Walking Dead but you’ll also get to see favorites from Arrow, The Flash, The Haunting of Hill House, and American Horror Story! The winner will also receive a signed copy of This Land of Monsters! To enter, head over to Tim’s site: authortimgabrielle.com and follow the easy instructions. Don’t forget to Follow/Like Tim on Facebook, Instagram, and Twitter! Please note, you must be 18 years or older to participate. Copy of This Land of Monsters must be picked up at the event. Winner will be announced Friday, February 8th at 8:00pm. Grey Stone Hit Bookbub, Today! Have you not read our werewolf legend, Grey Stone, yet? Do you love e-books? Well, you’re in luck! Grey Stone hit Bookbub today and is on sale for $0.99 in e-book format. Get your discounted copy soon, and don’t forget Grey Lore, its companion, is also on sale for $2.99. After you download and read our YA werewolf origin story, make sure to leave us a note on our website, Amazon, and/or Goodreads!